What was once a hobby reserved for middle-aged Tilley hat enthusiasts, birding is the latest hipster trend sweeping the continent. Millennials are leaving their avocado toast behind and heading to major birdwatching destinations to catch a glimpse (and post a ‘gram) of their favourite feathered friends. 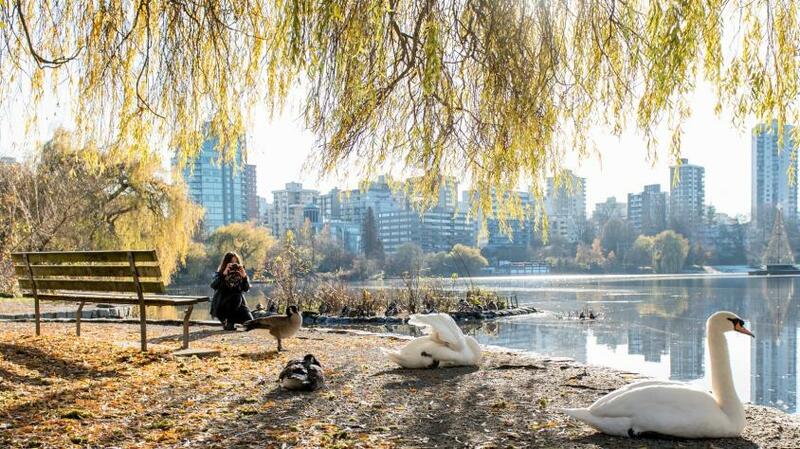 British Columbia has 573 species of birds, many of which can be found in and around Vancouver. From the North Shore mountains to the Fraser River delta, the Greater Vancouver region has a variety of wooded and wetland habitats that support hundreds of resident and migratory bird populations. Other popular spots for birding around Vancouver include Queen Elizabeth Park, Boundary Bay, Iona Island, Colony Farm, Tsawwassen Ferry Terminal, Burnaby Lake, and Grouse, Seymour, and Cypress Provincial parks. In August, bird lovers from around the globe will flock to Vancouver for the biggest bird extravaganza the city has ever seen. The International Ornithological Congress (IOC 2018) kicks off on August 19 and will include a stellar line up of speakers and workshops covering the latest research findings and conservation achievements in the world of ornithology. Registration for the congress is open now. Vancouver International Bird Festival (VIBF) will coincide with IOC 2018, running August 19-26. Enjoy a full week of birding tours, art exhibits, a parade, and many more exciting bird-related activities open to the public. Tune in for VIBF’s Bird of the Week to learn more about local species in the leadup to the festival.